An industry once criticized for being slow to embrace new ideas is gaining momentum: Logistics is transforming from a traditional sector into a flagship, showing how technology can solve real-world problems. 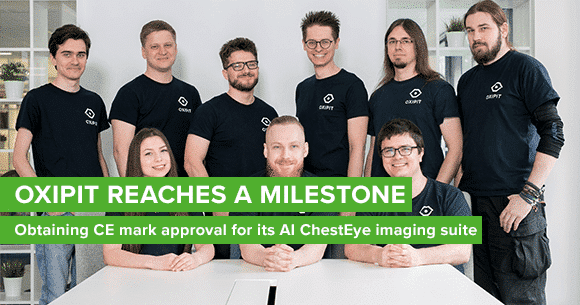 One example of this is CODE_n Alumnus Transmetrics – an ambitious team working with co-founders Anna Shaposhnikova and Asparuh Koev, who together developed a SaaS tool for predictive analytics. How is this revolutionizing the sector, you may think? With 43% of trucks on the road basically traveling empty, you might get a sense of how unbelievably inefficient modern cargo transport can be. Transmetrics is ushering in a new era of intelligent, anticipatory logistics! The core team talked to us about the developments they are sure are about to hit the sector, and the role Transmetrics is planning to play in this. Lisa: Hi Transmetrics, good to catch up with you! Let’s start with a brief overview of your product. I guess there’ve been a number of developments since you took part in the CODE_n CONTEST? So what are you working on at the moment? Transmetrics: Hi Lisa, it’s very nice to catch up with CODE_n again! Very briefly, Transmetrics is a Big Data and predictive analytics solution which was created exclusively for the cargo transport industry. 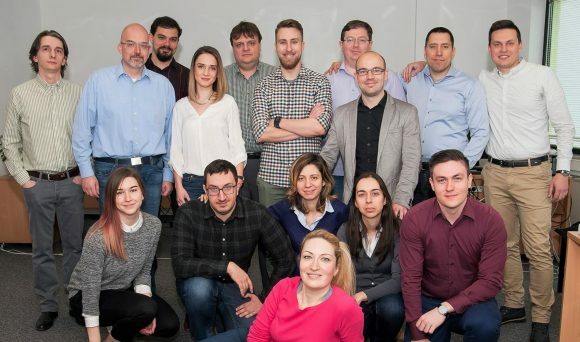 We have spent the last four years on creating and building the platform that at the moment has been successfully applied to the first set of customers – some of the leading logistics companies in the world, for example DPDgroup. Currently we’re working on three types of products in parallel, all aimed at addressing key inefficiencies in the cargo transportation industry related to capacity utilization through Artificial Intelligence and machine learning. All our products consist of 4 main steps – data cleansing and enrichment, forecasting, optimization, and execution controlling. Our main area of focus is road transportation, even though Transmetrics solution has proved that it can be applied for all the transport modes. We help companies to predictively optimize their networks and cut the operational costs by doing things like reducing unused space in trucks and decreasing the number of needed vehicles. According to statistics from the World Economic Forum, on average trucks are driving about 43% empty. Lisa: Wow! That’s a lot. Transmetrics: Yes, that is a lot. But we’re about to change that. Here is how: We’re taking historical data from transportation companies over several years, starting with at least one year. Then we are doing data cleansing and enrichment by the use of artificial intelligence and advanced statistical methods, since many transport have an issue that their data is not clean and is inconsistent. After that we build forecasts for what shipping volumes the company should expect for the next few weeks. This enables companies to visualize the problem areas while they are still in the future and they can be corrected by proactive action. For our forecasts we are using historical data and we are adding the effect of external factors like public holidays, school holidays, industry seasonality, certain business events, and many others. The forecasts we produce are very granular and highly accurate. As a next step, we perform complex network optimization. This step is about helping the planners and dispatchers in making decisions based on the forecasted information. The software can help you with suggestions on where to increase or decrease capacity in order to be very efficient, and this is done with artificial intelligence and complex stochastic optimization algorithms. In the last step, execution controlling, transport companies can monitor how the optimized plan was implemented and whether there were any deviations from it. Transport companies run on very low profit margins, so for them service levels are really important. The market is highly fragmented and there’s strong competition, so it’s all about delivering goods on time. If they don’t meet service level agreements, they lose customers to competitors. Therefore, companies often have to plan in extra capacity. Extra trucks, extra vehicles, extra space in warehouses – that all adds up to high costs. Basically, if you look at the whole cargo industry, it’s a huge cost center. And by giving these companies forecasts based on the volumes they can expect, we enable them to introduce measures in advance and optimize how they plan their networks. This allows them to stand down trucks or delivery rounds between different points, and that improves their operations. Overall, this also helps reduce carbon emissions and things like traffic jams. We’ve developed this product in partnership with DHL Express globally, and now it is being introduced at other large companies. For example, a DPDgroup company is using Transmetrics’ predictive analytics software to forecast expected shipping volumes one week in advance and to optimize the amount of trucks needed to deliver all the shipments. This company has been able to reduce truck departures by 25%. As a result, an 8-9 percent total cost saving has been achieved. Lisa: Fascinating. How long has it been on the market? Also, do other companies use your service? Transmetrics: Since 2015. And yes, we do support other companies. The solution is subscription-based, so it’s software as a service (SaaS). Unfortunately, we’re not allowed to mention who those customers are yet, but what we can say is that if you look at the top five companies in Europe in road haulage, we already have a project with three of them. Lisa: How did you convince the market leaders to work with you as a startup? Transmetrics: We build relationships. We start with a pilot project, so typically we take a sector of industry in the biggest countries, do a case study, show the potential results the product could deliver, and then we roll the project out to the whole country. Then we implement the solution country by country. At least that’s how it happened with the DPDgroup and it’s how we plan to let things happen for the other companies we have pilots with right now. Another key point here is our deep transport industry experience. The cargo transport industry is very specific, and our customers realize from the beginning that we understand their problems well and that we speak the same language because of our extensive experience. Lisa: So you’re offering quite a valuable service and it’s working really well. Do you have any competition in this market, or are you the only one offering this service? Transmetrics: In terms of competition, we used to have a direct competitor. There is one company based in the Silicon Valley, which was founded by Stanford graduates and backed by Alphabet. They were tackling a slightly different segment than we are. As a startup, you have to focus. The freight forwarding industry is extremely big and it’s very diverse and there are several modes of transportation within this industry – we have road transportation, ocean, air, and rail. Transmetrics started with road transportation, though we’re running pilot projects and have customers in the air and ocean segments. And this company started from the ocean angle. However, we recently learned that they decided to pivot into container tracking, so as far as we know, currently Transmetrics is the leading predictive logistics solution on the market. 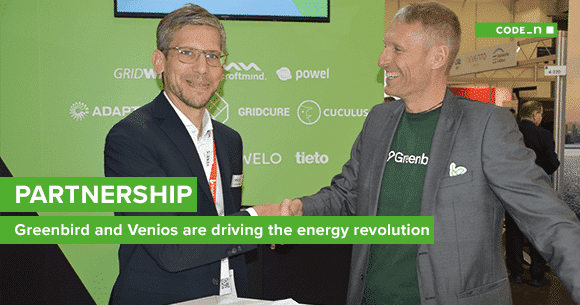 Lisa: You participated in the CODE_n startup competition in 2014. Let’s talk a little bit about that if you like. What was your experience of it? Did it support you and your mission? Transmetrics: It was a really good experience actually. At the time, we were just entering the market, so we were trying different options and approaches. It would be true to say the coverage at CODE_n is cross-industry, so the audience is quite diverse and from different backgrounds. For us personally, it was not the best channel to find potential customers since we are targeting a particular market, and you can find them at more logistics-focused events. 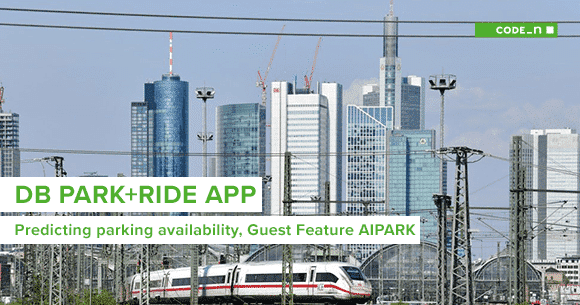 However, what we found was that an event like CODE_n was very good for forging connections with potential distributors. We met no less than 11 companies with the same request – they said they had a number of transportation companies that could be our customers. They asked if they could represent us to their customers, which was a very encouraging sign even though we weren’t yet ready to offer the product through a distributor relationship – it wasn’t mature enough. The nice thing was that there was such a diversity of distributors from different countries, so it was really great from that perspective. Lisa: That’s good to know! And are you addressing a global market with your analytics software? Do you have customers overseas as well? Transmetrics: Well, for a start, the standard transportation company is already global. They spread out geographically. Right now, we’re more focused on Europe, but more than 50% of global transportation companies have headquarters in Europe; there are only a handful of companies that are not European. I think we’re already well positioned in Europe if we want to talk to global companies. But later on, we want to expand into the American and Asian markets. This will probably be a few years from now. Lisa: You recently stated that you believe the hottest trends in logistics in the next years will be autonomous vehicles, drones, and anticipatory logistics. Why do you believe that? Can you please tell us a little bit more about these trends? Transmetrics: Let’s start with the most realistic one, which is autonomous vehicles. They save a lot of money and effort because they’re not hampered by things like drivers having to take breaks or having to take the driver back home. If you send trucks from A to B they have to return to A almost immediately because the driver has to go home, but an autonomous truck can drive somewhere else to pick something up and never has to go home. It can also be used 24 hours a day. It doesn’t need to eat, sleep, or have mandatory breaks. It doesn’t break the law; it doesn’t speed. It doesn’t fall asleep at the wheel. Overall, it has great advantages over human drivers. That is why I believe this development is definitely going to transform the industry. It seems that companies are determined to get autonomous trucks on the road within the next five years, and they’re testing them already, so it will happen. With drones, if I’m honest, I’m not a big believer in drones because I think they’re the wrong technology for addressing a real challenge – delivering millions of parcels within cities in a very short time, which is extremely difficult at the moment. If this can be solved, it will be a very powerful solution and e-commerce will expand even further. But it’s not certain whether drones are the right answer or not. It depends on how safe they can be made – especially in large numbers. The answer will need to be some form of technology which handles “the last mile,” at a much lower cost, offering much higher speeds, and achieving much higher volumes than are possible today. Last but definitely not least is the anticipatory logistics, which is about tackling inefficiency. Right now, it’s not only that the vehicles we’re using are empty two-thirds of the time. There are long-term structural problems within logistics and these are caused by the same problem – which is that the customers of logistics, the shippers, operate just-in-time. They don’t plan enough in advance; they just ship whenever the demand arises. They gain a lot by being just-in-time, but transportation companies have to adapt better to this just-in-time shipping and basically, the way to do this is to use anticipatory logistics. Here are some statistics which illustrate the enormous potential: 43% of logistics capacity is not used, 63% of the lifetime vehicles sit idle, and for 24% of the distance covered, the trucks are driving completely empty. And that’s why there’s this prediction that advanced logistics will save 500 billion euros a year. That’s the GDP of the average-sized European country. Lisa: Indeed! So how will Transmetrics adapt to this development? What are your plans for the coming years? Transmetrics: Well, for us it’s all about the anticipatory logistics trend. We want to provide transportation companies with the right tools to become more efficient by anticipating the demand for services. Currently we offer companies running the transportation network – like DHL and FedEx – predictive supply-demand matching. What is next is to extend the platform for other use cases within logistics companies. For example, our optimization software could be applied in asset management for the companies that own the trucks and containers. It can also be used in warehouses for optimizing the staff, the processes in the warehouse, the positioning of pallets and few other things. 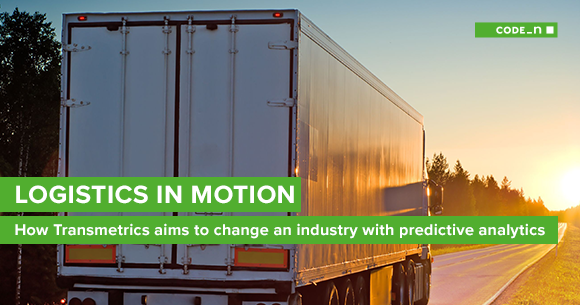 Truckers could benefit from predicting and managing the return trips, while airlines and a few other price-sensitive sectors could improve their price management through our predictive analytics software. Lastly, it can be used for procurement if you are buying 3PL logistics services. Anticipatory logistics will transform the logistics industry. And it’s already happening right now. We currently have one of the first tools that actually works in this field. Our goal is to develop the company where we have a very powerful and transformative business case for every single logistics service provider which exists. In order to do that, we are currently raising additional funding, mainly to develop these additional use cases. Lisa: We’re sure we’ll hear more about you in the future as a partner to an industry fueling transformation. Keep pursuing those new ideas! 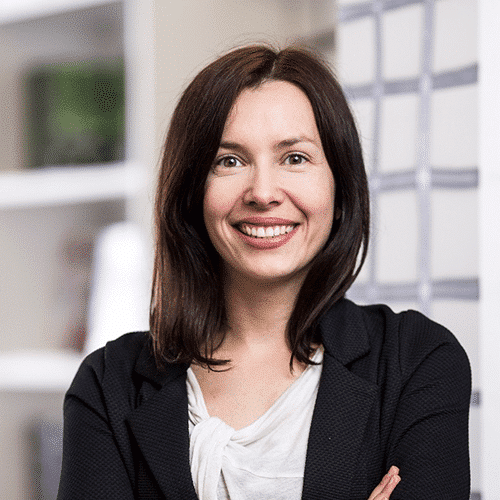 Stick around for another insightful article shortly, when we catch up with Transmetrics co-founders Anna Shaposhnikova and Asparuh Koev and hear more about their experience founding a startup in the predictive analytics sector.